Gov. 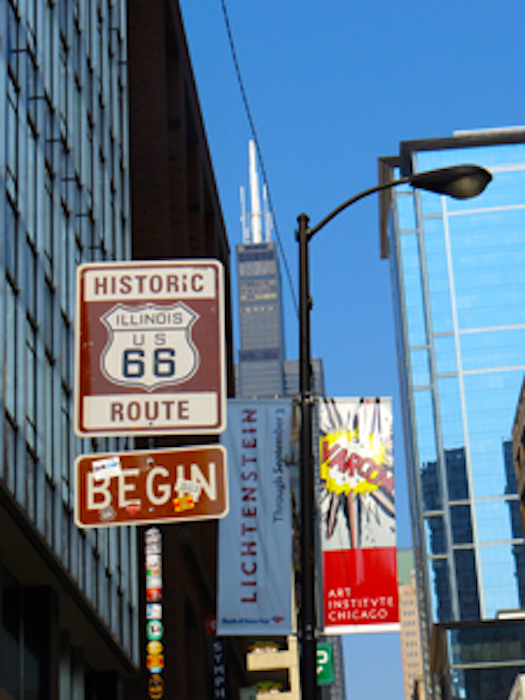 Bruce Rauner has signed legislation creating the Illinois Route 66 Centennial Commission. The commission will develop plans for celebrating the famous road’s 100th anniversary in 2026. 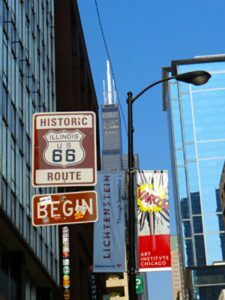 Also known as The Mother Road, Route 66 put Illinois on the national numbered highway network map in the late 1920s as the state became the first to pave the entirety of its share. The route took travelers between Illinois and California at a time when traveling by car was just beginning to overtake rail travel. Route 66 became renowned for its over-the-top roadside attractions and plethora of conspicuously neon-lit motels — resulting in the “Get your kicks on Route 66” song lyrics of 1946. “Illinois has a distinct place of honor in this famous road’s history. Not only is Chicago its starting point, our people were the first to pave it from end to end as it wound southwest toward St. Louis and on to the Missouri border,” Rauner said July 31 after signing House Bill 66. “This made it easier for motorists to travel and sparked a golden era of fun family road trips, with plenty of places to stop and enjoy along the way. 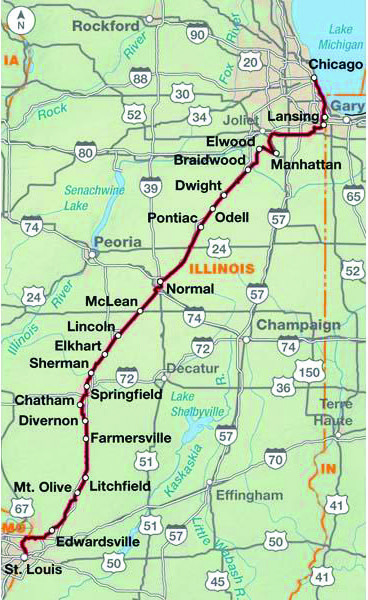 Route 66 runs from Chicago to Los Angeles, winding through Illinois. State Sen. Pamela Althoff, R-McHenry, Rep. Tim Butler, R-Springfield, and others welcomed the legislation’s signing in Plainfield, where Route 66 and the Lincoln Highway meet. Centennial events could include programs highlighting the growth of local communities as construction proceeded along the route, the cultural impact of Route 66 in the U.S. and globally, the portrayal of Route 66 in music, artwork and folklore, and guidance on how to maintain its mystique and appeal for future generations. 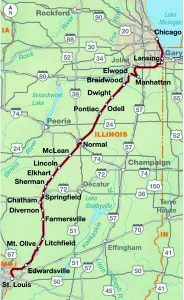 Route 66 originally ran 2,448 miles from Michigan Avenue and East Adams Street in Chicago through Missouri, Kansas, Oklahoma, Texas, New Mexico and Arizona en route to Santa Monica, Calif.
Also welcoming the commission’s official creation was Rep. Mark Batinick, R-Plainfield. 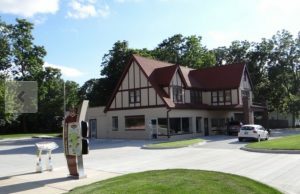 “It is an honor to have the governor sign this bill in Plainfield, which is the only spot in the country where Historic Route 66 and Historic Route 30 became one road,” Batinick said.